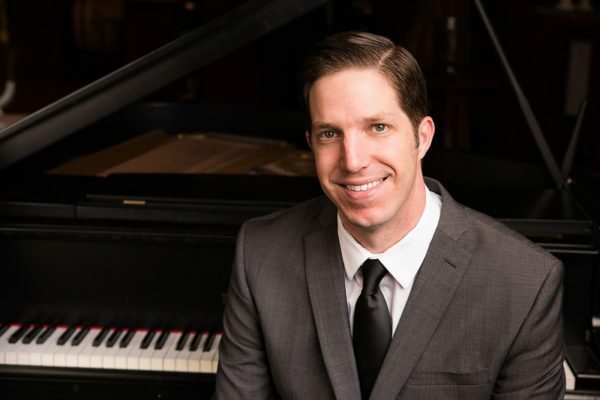 Two grand pianos, one colorful character, and a church of music lovers make for performances worthy of the name “Valerie Victor Concert Series.” The series kicks off at 1 p.m. on Sunday, July 29, at The Table: United Church of Christ of La Mesa (UCCLM). Valerie Victor was a member of the parish for almost half a century. She was the one who helped connect Tompkins-Maclaine with UCCLM, after they had worked together in the Pacific Coast Chorale. Tompkins-Maclaine is still the artistic director and conductor for the chorale. Victor was known for her passion, verve, and ability to take charge. Age didn’t seem to slow her down at all. Even in her 80s, Victor still accompanied on the piano for UCCLM services – right up until she got sick. 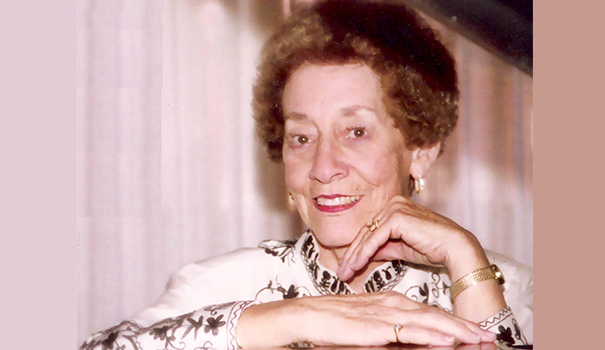 In October, Tompkins-Maclaine stepped in to temporarily fill her accompanist duties, but by January, she had passed away. 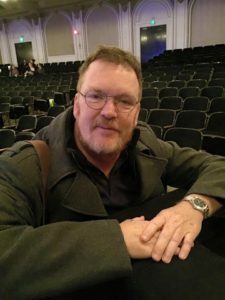 “She told me she was passing on the music responsibility of the church to me,” Tompkins-Maclaine shared. Around that time, UCCLM gained another grand piano through an unusual set of circumstances. Tompkins-Maclaine saw these two pianos, knew he loved his church and Victor, and realized a way to bring all that together. That’s how the “Valerie Victor Concert Series” was born. After 32 years of working in the San Diego music field, and hosting three other concert series, Tompkins-Maclaine is “well-connected” with talented musicians. Three of those musicians will be joining him for the first concert of the series on July 29. The featured performer is Rodney “Ragin’ Rodney” Girvin. He is the pianist for both the City Ballet of San Diego and the Pacific Coast Chorale. Girvin started learning to play the piano at age 6, and has never stopped since. By the time he reached sixth grade, he was practicing three hours a day. Girvin’s career has included piano teacher, rock band keyboard player, and accompanist at multiple churches and schools in both organ and piano. He helped coordinate the San Diego Pipe Organ Encounter, and serves on the board for the San Diego Chapter of the American Guild of Organists. 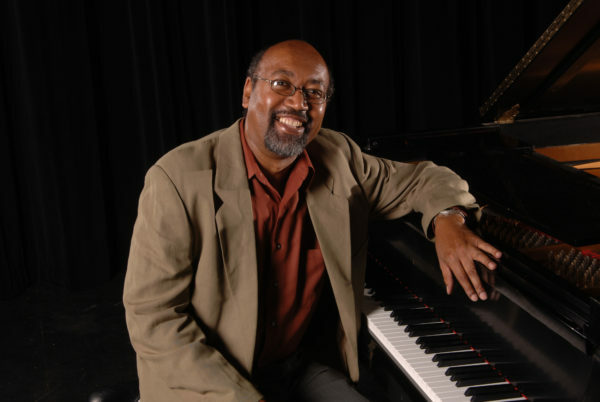 At the end of the concert at UCCLM, Girvin will be joined by Tompkins-Maclaine on the other grand piano, and Nina Gilbert and Richard Thompson on digital piano. They will perform “Dance at the Gym” from “West Side Story” in a composition Tompkins-Maclaine wrote for four pianos. Tompkins-Maclaine put together the music years ago, but this is the first time he’s had the opportunity and resources to hear it come to life. The concert is in connection with UCCLM’s “Music Sunday,” also held July 29, in which the whole service is music and praise. The next concert in the Valerie Victor series will be with the Pacific Coast Chorale at 2 p.m. on Sunday, Aug. 26. The theme is “Silver Screens” because the set list is all music written directly for film. All the concerts are free and open to the public, although a freewill offering will be collected. The Table: United Church of Christ of La Mesa is located at 5940 Kelton Ave. in La Mesa. For more information, call 619-454-1519 or visit tableucc.com. Valerie was the pianist for my high school choir directed by Robert Boucber. Who, I believe, also directed the Pacific Coast Choir. She was fabulous and will be missed. She and Boucher taught us excellence in our performance and it was her accompaniment that helped us win awards here that brought us to the attention of the board of the International Youth and Music Festival in Vienna Austria. Regrettably, Valerie retired before our performance in 1983, but her legacy brought us to a 3rd place performance amongst the top 200 choirs in the world. What a great artist!